A Fully Revised Edition Featuring New Material on Coroutines, Debugging, Testing, Parsing, String Formatting, and More. Summerfield draws on his many years of Python experience to share deep insights into Python 3 development you won't find anywhere else. He begins by illuminating Python's "beautiful heart": the eight key elements of Python you need to write robust, high-performance programs. Building on these core elements, he introduces new topics designed to strengthen your practical expertise-one concept and hands-on example at a time. 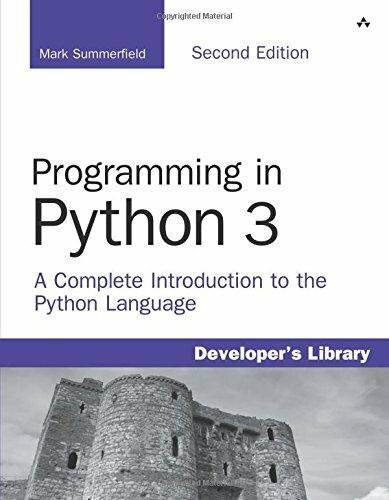 Programming in Python 3, Second Edition, serves as both tutorial and language reference. It assumes some prior programming experience, and is accompanied by extensive downloadable example code-all of it tested with Python 3 on Windows, Linux, and Mac OS X. This edition covers Python 3.0 and 3.1, and due to the Python language moratorium it is also valid for Python 3.2 which has the same language as Python 3.1.